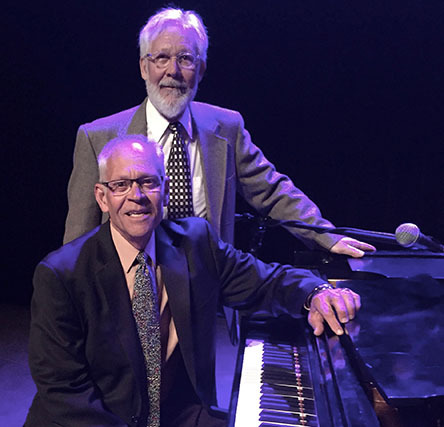 The Gulizia Brothers present a 90-minute musical variety program for all ages. The program features various musical styles, including American jazz of the Big Band era, contemporary jazz, and international music from South America, Africa and the Caribbean. The audience is provided a visual perspective of several native instruments. Workshops for grades K-12 and college students are available the day of the concert. Workshops can be geared to general music classes or to special music classes such as band and jazz band. Workshops for non-music students are more of an assembly program. For music students, workshops deal with theory, jazz techniques and working with the students. The additional fee for a 50-to 60-minute workshop is $200. For special events, additional musicians can join the Gulizia Brothers for an additional fee of $650 each. Technical Requirements: Space of 10’ x 16’ minimum, electrical outlets, lighting if available. Availability: Limited availability November thru April.